Jose Mourinho: I don't celebrate - so why should Lukaku? Manchester United boss Jose Mourinho has explained why Romelu Lukaku refused to celebrate his strike at West Brom. The Belgium international scored his 15th goal of the season in the 2-1 win at The Hawthorns on Sunday. Jesse Lingard also netted in the first half as United closed the gap to Premier League leaders Manchester City to 11 points after back-to-back wins. 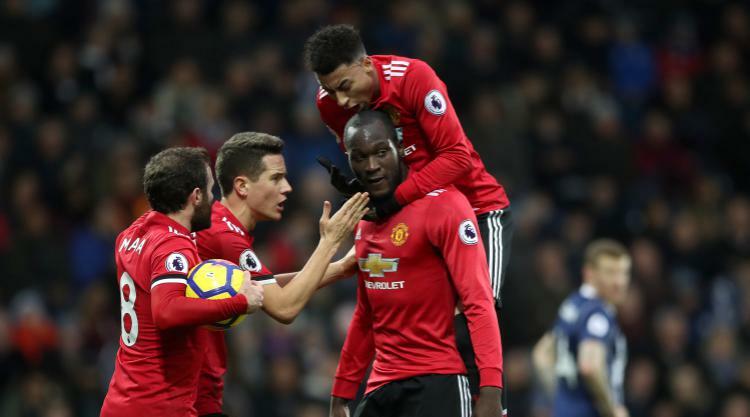 Lukaku did not celebrate, having spent a season on loan at Albion in 2012-13, and Mourinho claimed the Belgian might have taken his lead from his manager. He said: "I think two reasons. One: h is love for West Bromwich Albion. He was a happy kid here, they help him to feel loved, they made him feel at home. It was here he exploded in the Premier League. "You don't go crazy when you win. You don't get depressed when you lose. You are much more stable with experience. Some other managers, they are different, and they don't change. "I change. If I score a goal in the last minute you will see me run, for sure, for sure. But a goal in minute 20-something, 1-0 with a lot to play - let's play." Mourinho added: "When my team is winning it keeps an emotional balance and we don't do circus. Also when we are losing, in a not happy moment, we try not to be depressed, we try to keep our balance." United could lose Antonio Valencia for a spell after a hamstring injury. but Mourinho vowed they would fight for the title. He said: "Our last match in the Premier League is against Watford at Old Trafford in mid-May, and until then every match we go. We don't want to go on holidays. We want to play until the last match." West Brom boss Alan Pardew is still waiting for his first win, despite Gareth Barry's consolation goal. Albion lie second bottom and Pardew admitted he got his team selection wrong after Wednesday's 0-0 draw at Liverpool. He said: "We were disappointed first half and I think I picked the wrong team really. The boys gave me so much at Liverpool. Obviously I'm getting to know them but I didn't think we had the energy in the first half we need against United."